Tropico 5 to Xbox One, Dungeons 2 to PS4 in May | Nerd Much? It looks like that whole console exclusivity thing is officially out the window, as yet another PlayStation 4 console exclusive, Tropico 5, is making its way to Xbox One. And, Dungeons 2 will be making its way to the PS4. Kalypso Media has announced that both titles will be released on May 24 in North America and May 26 in Europe. The Xbox One edition of Tropico 5 will be officially titled Tropico 5 Penultimate Edition, and it will include the original game plus five add-ons, including Bayo del Ofato, Big Cheese, Mad World, Generalissimo, and Joint Venture. What’s more, the Penultimate Edition will include five new, exclusive Xbox One sandbox maps, a new interfaced optimized for controllers, and it’ll bring new Xbox Live achievements along with it. 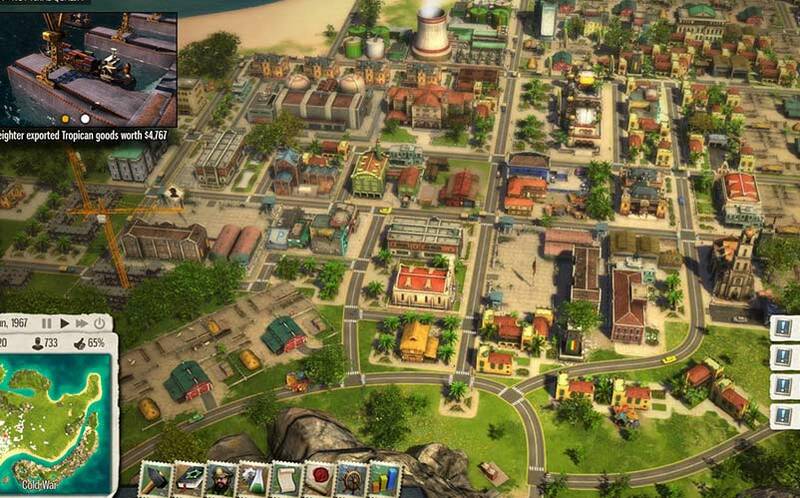 If you’re into city building, Tropico 5 is definitely a solid option, and it’s one of those games that has improved greatly since its launch. So, the fact that more people are going to be able to play it now is worthy of our excitement. Meanwhile, Dungeons 2 PS4 edition will also bring five add-ons along with it, including Pixieville, Morningwood, A Chance of Dragons, a Song of Sand and Fire, and a Clash of Pumpkins, each of which brings more skirmishes, missions and enemies to the game. Tropico 5: Penultimate Edition and Dungeons 2 PS4 are both available for pre-order now for $49.99. For more Xbox One and PS4 news, stay tuned to Nerd Much. You can also follow us on Twitter for timely updates.